When Branch Tanner Archer came to Texas in 1831, he had already enjoyed a successful career in Virginia. Born December 13, 1790, he attended William and Mary College, then received a medical degree in 1808 from the University of Pennsylvania. He practiced medicine in Virginia, and represented Powhattan County in the General Assembly of Virginia during its 1819-1820 session. Almost immediately after arriving in Texas, Archer became an active advocate for Texas independence from Mexico. After participating in the Battle of Gonzales, he attended and was elected president of the Consultation of 1835. Although strongly favoring independence, he focused on resolving factional differences among the representatives at the Consultation. Along with Stephen Austin and William Wharton, Archer was chosen as a commissioner to the United States to secure supplies, money and recruits to support the cause of the Texas Revolution. After the revolution, he served in the First Congress of the newly formed republic, and became Speaker of the House of Representatives during that body's second session. While in the First Congress, Archer, James Collingsworth and others sponsored a law setting up the Texas Railroad, Navigation, and Banking Company. 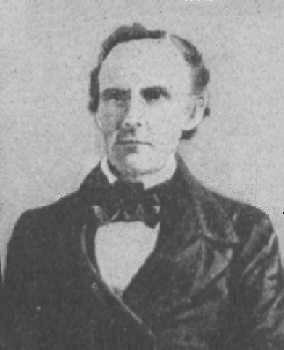 Although the charter was sanctioned by both Sam Houston and Stephen Austin, it later failed primarily due to its banking provisions and public opposition led by Anson Jones. Archer was an active Mason and helped organize a Masonic Lodge in Brazoria. He achieved the position of Grand Master of the Grand Lodge of Texas for the 1838-39 term. Under Republic of Texas President Mirabeau Lamar, Archer served as Secretary of War in 1840-41. He remained an active leader in Texas politics until his death on September 22, 1856. He is buried at Eagle Island Plantation in Brazoria County. Archer County was formed in 1858 and named in his honor.